Heat oven to 350°F. 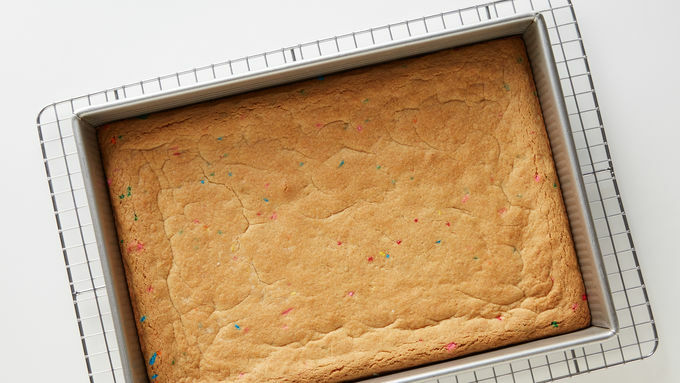 Grease bottom of 13x9-inch pan with shortening or cooking spray. 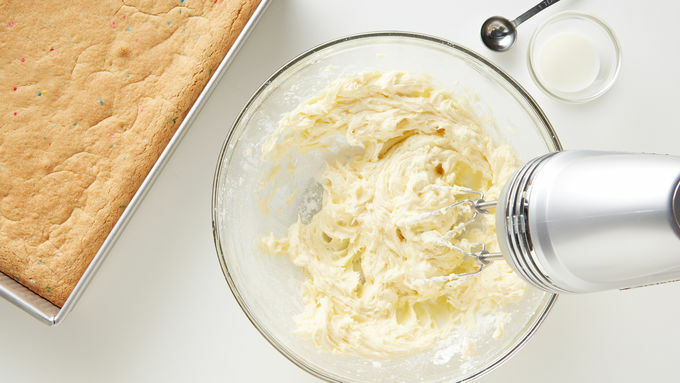 In large bowl, beat sugar cookie mix, cake mix, melted butter, eggs and 1 teaspoon vanilla with electric mixer on low speed 30 seconds. Beat on medium speed about 1 minute or until blended. Stir in 3 tablespoons candy sprinkles. Spread in pan. Bake 32 to 34 minutes or until golden brown. Cool completely, about 1 1/2 hours. In large bowl, beat 1 cup softened butter, the powdered sugar, 2 tablespoons milk and 1 teaspoon vanilla until combined. Add additional milk 1 teaspoon at a time until spreading consistency. Spread over cooled bars. Sprinkle with assorted candy sprinkles. Cut into 6 rows by 4 rows. 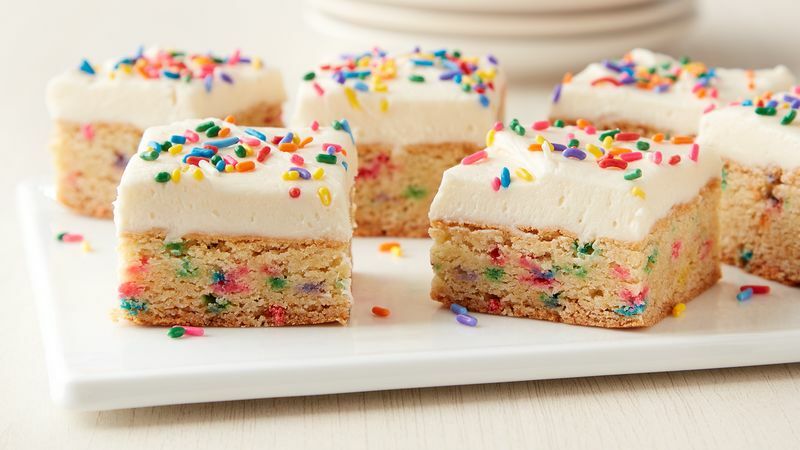 Using candy sprinkles of different shapes, sizes and colors makes the bars look extra fun! In a hurry? 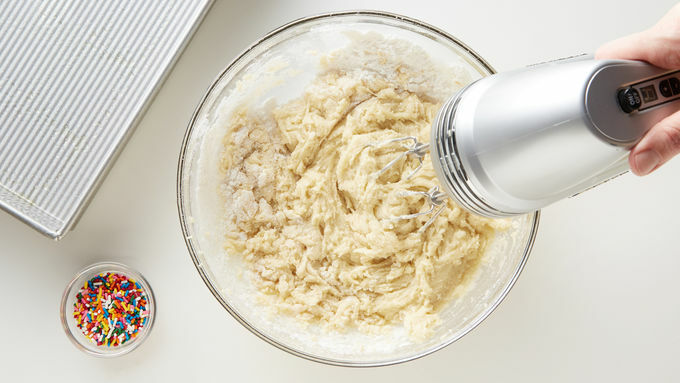 Use a container of Betty Crocker™ vanilla frosting in place of the scratch frosting.